Lone Star was a short-lived brand of automobile that was, in one very specific way, ahead of its time. Sold by the Lone Star Motor Truck and Tractor Association of San Antonio, Texas, the Lone Star was actually just a Piedmont (built in Virginia) with a different badge. You know, kind of like how the Chevy Tahoe and GMC Yukon are the exact same truck with different badges and marketing? The Lone Star was sold from 1919 through 1922, and it’s thought that only 12 examples were produced (maybe shoppers in 1920 were able to see through the “buy Texas-made stuff” B.S. that people today so readily jump at?). The Beauty Four is powered by a Lycoming inline-four making 35 horsepower. The 5-Passenger Tourer was the only body style offered. Restored, this is the only Lone Star thought to survive. Click here for more info and here for more from this sale. 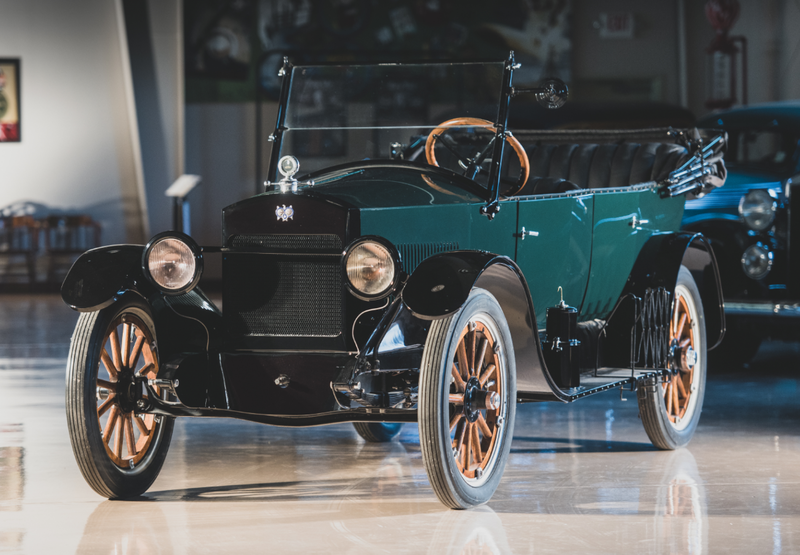 This entry was posted in Uncategorized and tagged 1920, 5-passenger, auctions, beauty four, cars, classic cars, lone star, rm sothebys, touring by classiccarweekly. Bookmark the permalink.